Incredible setting, with breathtaking views of Mt. Rainier & Rich Passage that can be enjoyed from nearly every room in the house. 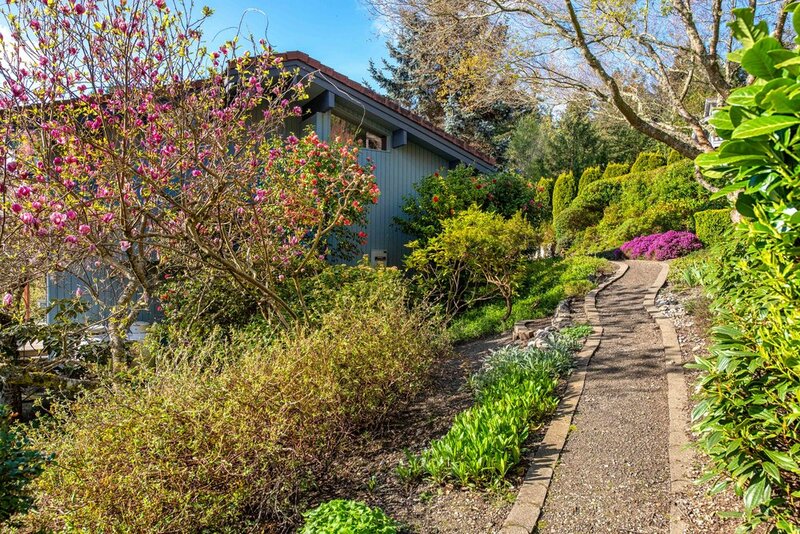 Hidden at the end of quiet Sundance Lane, high above Point White, the home features nearly an acre of beautiful grounds with large wrap around deck for entertaining. Open floor plan with vaulted ceilings, main floor master, plus huge fully finished lower level with family room, kitchenette & bonus/rec rooms offering flexible spaces for entertaining, guests & hobbies.